Cor Cantiamo, a professional choir in residence at NIU conducted by School of Music professor Eric Johnson, will release its second recording Friday, March 11. 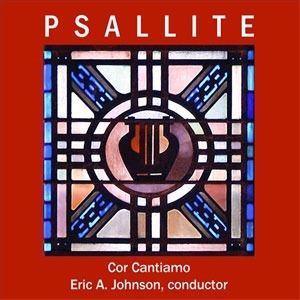 “Psallite,” co-produced with the SDG Music Foundation (previously Soli Deo Gloria) and linked to its SDG Psalms Project, offers a feast of wonderful singing that embodies the penitential, celebratory and jubliant quality of King David’s Psalm texts. “It is a great pleasure to record the compositions of the Psalms Project. This body of repertoire encompasses the full range of the sacred journey found in the Psalm texts,” Johnson says.